Fred Grein has served as Homes For Our Troops’ outside general counsel since 2010, coordinating the pro bono legal services provided by him and his colleagues at Nixon Peabody LLP, where Fred is Senior Counsel and a member of the firm’s M&A and Corporate Transactions group. 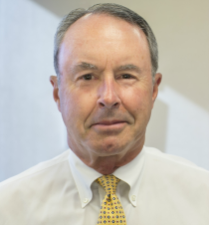 In his role as General Counsel, Fred is an ex-officio, non-voting member of the Homes For Our Troops Board of Directors and also serves on the Organization’s Finance Committee. Fred has been a practicing attorney for over forty years, advising clients on a broad range of business issues, including in the areas of business strategy and planning, corporate governance, mergers and acquisitions, joint ventures, debt and equity financing, executive compensation and other business matters. Over his career, Fred has served on the boards of a number of business and nonprofit organizations, including several manufacturing and distribution companies, a real estate management company, a media company and a private, nonprofit 106-bed retirement and nursing home, from whose Board Fred retired in 2016, after serving for over thirty years. Fred was actively involved in the American Red Cross for more than twenty-five years. He served as a member of its National Board of Governors from 1997 to 2003, serving at various times on the Board’s Executive and Finance committees and chairing its Governance and Strategic Planning committees. He has also served as chairman, treasurer, and Finance Committee chair for the Massachusetts Bay Chapter of the American Red Cross, and has also held a number of other volunteer leadership positions within the Red Cross. Fred is a graduate of the College of the Holy Cross (A.B., 1968), the Tuck School of Business, Dartmouth College (M.B.A., 1973) and the Boston University School of Law (J.D., 1976). Fred and his wife of almost 44 years, Cathy, live in West Newton, Massachusetts.